Visual remediation of an argument from your controversy. This is going to be a challenging exercise, so give yourself some time by getting started early. Find an argument from within your controversy and re-imagine it as a still image. 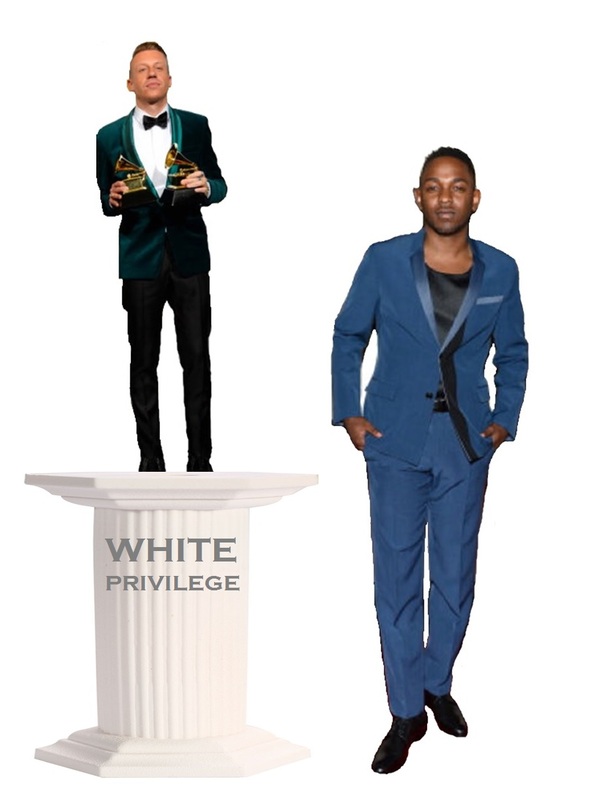 This entry was posted in Rhetoric of Hip Hop and tagged grammy, grammys, hiphop, kendrick lamar, Macklemore, race, racism, rap, the heist, white privilege by Mac McCann. Bookmark the permalink.